CONTROL is the least understood, and therefore most underestimated aspect of football. 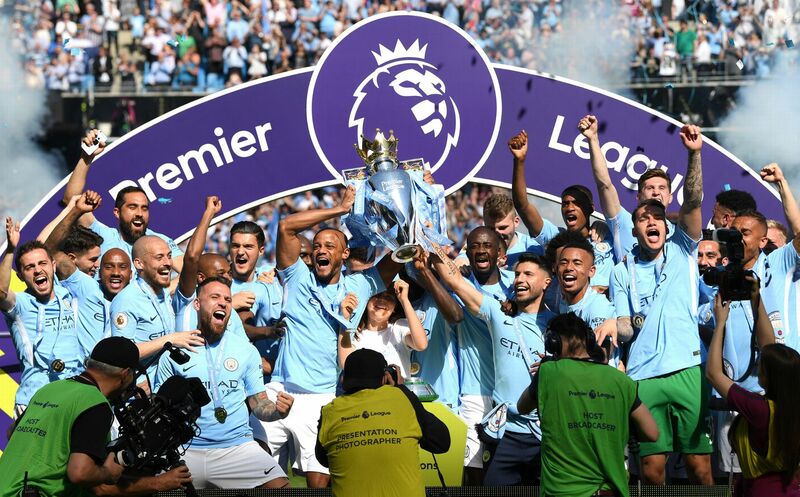 Last season, Manchester City scored about the same number of goals as Liverpool in all competitions and ended up with a Carabao Cup and English Premier League double. Liverpool ended up empty-handed. CONTROL was the difference between the two sides. Pep Guardiola’s City has bags of it. Jurgen Klopp’s Kop only has some of it. Liverpool’s gengenpress is exciting, relentless, attacking football. On their day, the 18-time English top flight champions are even more irresistible than Manchester City. That’s why Klopp tops the head to head record between managers of Top Six rivals. City’s principal advantage over Liverpool and other rivals, is that they dismantle smaller teams better. So exactly how does Guardiola’s side CONTROL games? By firstly dominating possession. In their 100 points, 106 goal epoch-making, title-winning season, City averaged 71 percent possession. But it’s not just about keeping the ball for its own sake. It’s about looking after the ball; then using it to demoralise, damage and defeat bedraggled opponents that is a leading composite factor in the football enigma called CONTROL. Guardiola rates new Chelsea manager Maurizio Sarri very highly because he knows the football the 59-year-old Italian centres on CONTROL. Saturday afternoon, five-time Premier League champions Chelsea dismissed Huddersfield Town with minimum fuss because they were in CONTROL. Even though Liverpool can be relentless, their ability to CONTROL opponents and therefore destroy small teams is centred on their inability to let the game breathe. Sitting at the apex of midfield, £57m Italian acquisition Jorginho was peerless; tempo-ring the game with a 94 percent pass completion rate, and getting the best of fellow goal scorer Ngolo Kante and Ross Barkley. It was a performance that catapulted Chelsea to the apex of a nascent Premier League table. Sarri himself was dissatisfied and said his Londoners will only peak in 2-3 months when they have absolute CONTROL over games. Pep Guardiola will have noted. The Barcelona side that won the 2009 and 2011 Champions League titles was the epitome of CONTROL.